Now is the time to upgrade your Jabra headset! 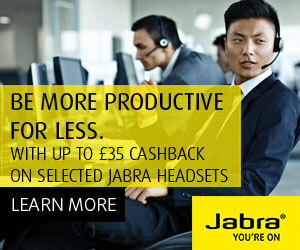 Take advantage of Jabra’s cashback offers available until the end of June. Click here to see the terms and conditions. If you’ve enjoyed the connectivity that Skype brings you at home, consider the benefits that it could bring to your business. Microsoft has recently launched Skype for Business. It has the look and feel of the Skype we know and love with the security and call quality that businesses expect; all this in a flexible subscription service. Use with Microsoft Office – Because Skype for Business and Microsoft Office work together, you can seamlessly use your Office tools with Skype, e.g. you can share and discuss your documents, presentations, and spreadsheets. To further enhance your business flexibility, add Office 365 that includes the full Office suite to your Skype for Business subscription plan. As Office 365 is in the cloud, the familiar Office tools like Word, Excel, PowerPoint and Outlook are available through your web browser. This gives you flexibility to connect, create, share and update in real time anywhere, whatever device you’re on. With low-cost set-up, automatic upgrades, plenty of on-line storage and full scaleability, Office 365 and Skype for Business are the smart choice. To discover how Office 365 and Skype for Business can benefit your business call us on 0118 920 9420. We are pleased to announce Chris Watling’s official appointment as a Director of Communications Solutions UK. Chris joined Communications Solutions UK as a Business Manager in 2010 after completing an economics degree. Since then Chris has been instrumental in developing the business, bringing countless new business opportunities and embracing new technologies to offer our customers. Over the years his technical ability and product knowledge have allowed him to always provide the right tools for both our customers and Communications Solutions UK. He has also been effectively managing the operational and strategic aspects of the business for some time. The appointment as a Director has therefore been a natural progression for Chris. Everyone here at Communications Solutions UK would like to thank Chris for his hard work and dedication to the business thus far and we are looking forward to see where Chris takes the business in the future. 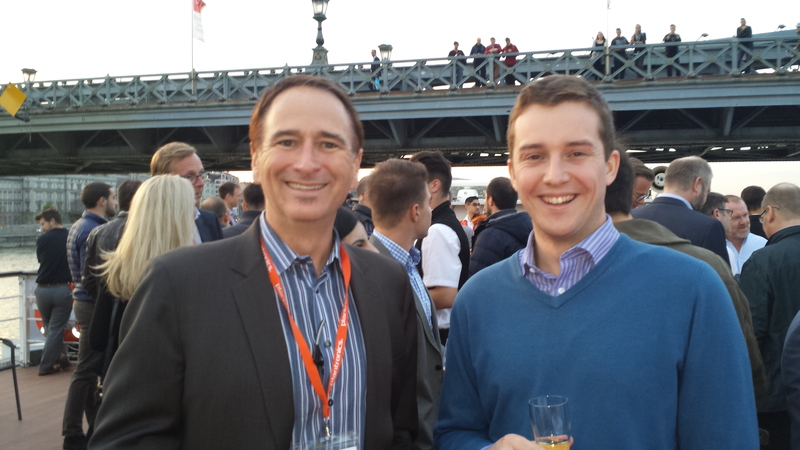 Chris Watling, catching up on the latest thinking on contextual intelligence and ‘wearable technology’ with Plantronics’ CTO, Joe Burton, at the Plantronics EMEA conference in Budapest last week. If you would like to find out more about contextual intelligence or wearable technology, call us on 0118 920 9420. 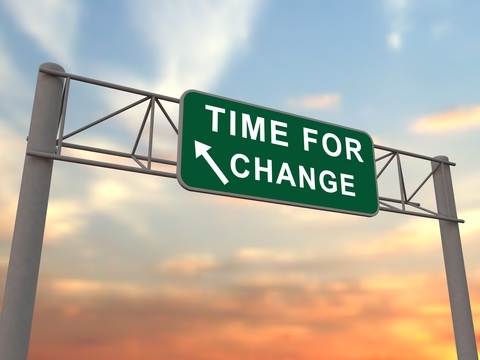 Are you aware that Microsoft Windows Server 2003 will no longer be supported after July 14th? Using the 2003 platform after this date may put your business at risk. Why? Because your system will no longer receive software updates or security patches and this will leave you vulnerable to new threats and potentially in danger of non-compliance. Why not use this opportunity to take stock and harness the power of the Cloud? Move away from buying costly hardware and software licences and enjoy the benefits of software as a subscription service instead. “Office 365, with its ability to share data via the Cloud is transforming how we do things. As I get my head around it, I can see more potential improvements and Cloud-based data storage is a revelation!” Les, Horizon Satellites. Call us now on 0118 920 9420 to discuss how we can help you make a smooth transition to the power of the Cloud through Microsoft Office 365.